Billy Bianchini set up his own record label warm water. to give up-and-coming Canberra artists a helping hand. Photo: Supplied. 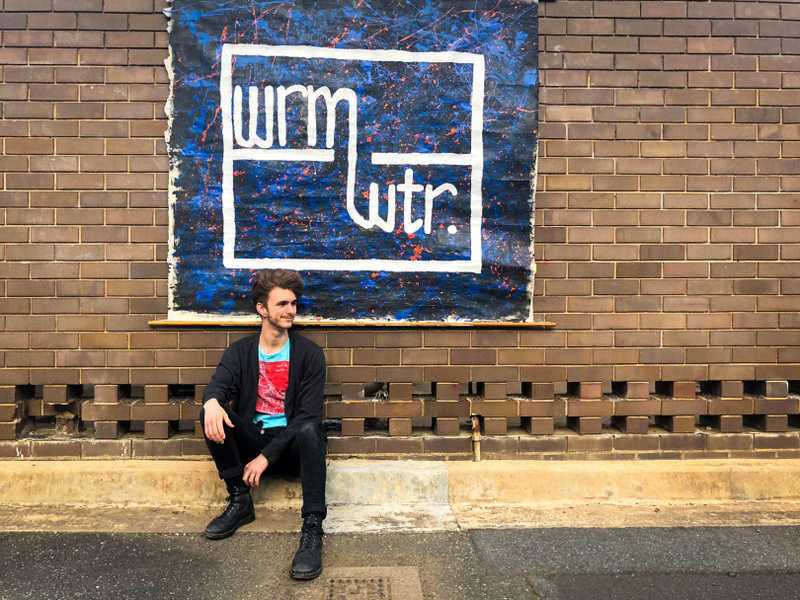 An Australian National University student has launched his own record label with the aim of providing emerging artists with an opportunity to share their music with the world, all out of his own pocket. Twenty-one-year-old Billy Bianchini started the label, warm water. to give up-and-coming local artists some much-needed love but to also help keep Canberra’s music scene afloat. “If you are a band in Canberra, you either do it just for a bit of fun or you buckle down and work for years to get discovered by somebody or a label in Melbourne or Sydney,” he said. “If you do all this hard work and get really good, you leave Canberra to pursue better opportunities. Bianchini and his friend Steph volunteer their time and energy to help kickstart careers by recording bands’ music in ANU’s recording studio, mixing songs, distributing and advertising music, managing finances, booking gigs, setting up launch parties and promoting music. Bianchini is studying full time, working two part-time jobs to pay the bills and running his own label, all out of his own pocket. He does not charge his six artists anything. “The more I do stuff with the label, the more I realise how handy something like this is for bands,” he said. “There is this perception that if you sign to a label that you have sold your soul because they will exploit you. “I think it is very important to change that narrative. At the end of the day, I am here to give musicians more time to do what they are really good at. I just want to team up with good bands and help them get success in this industry. Coming from a very musical background and studying at the ANU School of Music, he loves to perform in front of a crowd but has decided to give up his place to help others receive the attention and spotlight they deserve. “I was gigging around in Canberra and I loved playing but you are constantly waiting for a bigger stage and you are waiting for someone to come up to you and say they like what you are doing,” he said. “So I decided I would be that person and now I get more joy being the person offering that opportunity to artists. Slagatha Christie, Small Talk, Peach Lane, Nick&Ned + The Boogieboards, Lady Denman and An Inconvenient Groove have all signed with warm water., all bringing a different voice to Canberra’s music scene. Tags an inconvenient groove anu school of music australian national university Billy Bianchini lady denman Nick&Ned + The Boogieboards peach lane slagatha christie Small Talk warm water.